I love plated desserts with their molded mousses and spun sugar, their perfectly placed puddles of fancy fruit sauces… but, not on Valentine’s Day. To me, Valentine’s Day calls for warm, homey desserts that are, well, chocolate. Rich chocolate. Stick to your spoon kind of chocolate. Luckily, my husband thinks so too. I’m not really sure if it would matter if he didn’t like chocolate, I do make the desserts around here. Still, you do want the hubs to feel important on the big day so, I always add cherries to our chocolate cake just for him. Chocolate and cherries are his favorite. In fact, this time of year you will find that I put chocolate and cherries in just about everything. We have Valentine’s Day, birthdays and a great big, whopping anniversary coming up at this time of year. Unfortunately, you don’t usually find fresh cherries so, I use the extra jars of my Sweet Cherry Sauce that I make every year. 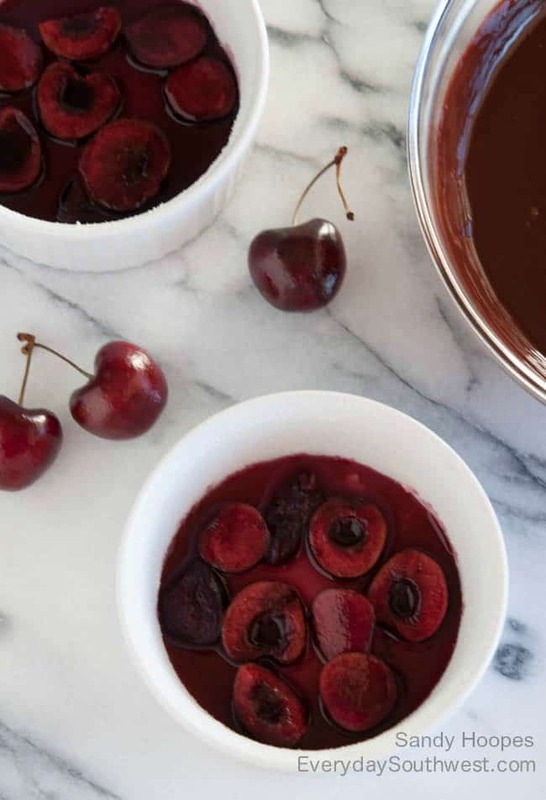 You can also use frozen cherries or even a pre-made cherry pie filling works just fine for this recipe. Just slice the cherries in half and sprinkle with sugar to allow the cherries to release some of their juice before spooning into the bottom of the ramekins. These are rich and dense chocolate cakes so please do whip the egg whites before adding them to the batter. Fill the ramekin to about 1/2 inch below the rim. Dust with powdered sugar while the cakes are warm, if desired. Put the cakes in the oven as you sit down for dinner, they will be perfect and still warm from the oven when you finish the meal. Be sure to follow us on Facebook or get out free email updates sent straight to your inbox so you don’t miss a single recipe! We love hearing from you so you can always reach us by putting a comment or question on any of our posts. 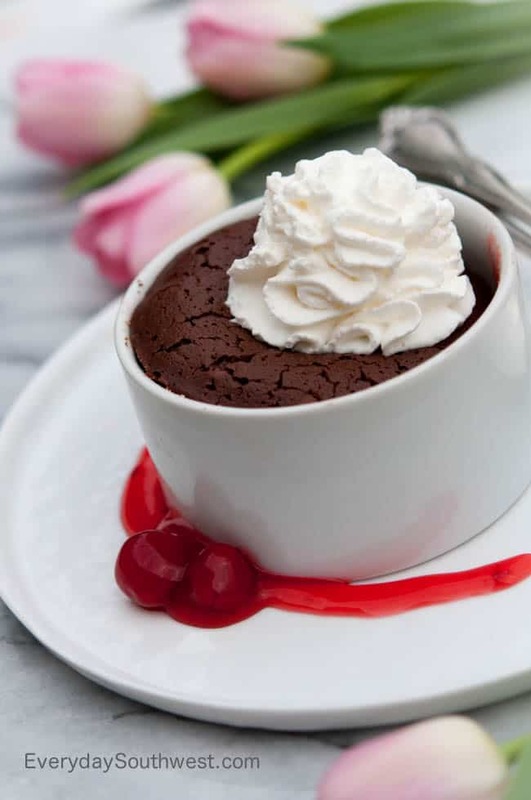 Chocolate and cherries make the perfect couple. Enjoy these rich chocolate cakes while they are still warm from the oven. 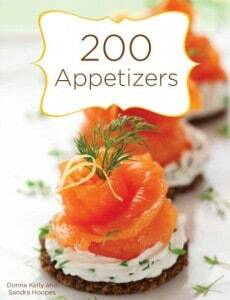 Bake them in individual ramekins or ones that are large enough to share. Bring 2 to 3 inches of water in a medium sauce pan to a boil. Place a mixing bowl that is larger than the sauce pan on top of the pan creating a double boiler. Do not let the boiling water touch the bottom of the bowl. Place chocolate and butter in the mixing bowl and allow them to melt slowly. When the chocolate is almost melted, stir well to combine the chocolate and the butter. Whisk the egg yolks together in a large mixing bowl. Gradually whisk in the sugar and whisk until the egg yolks lighten slightly in color, about 2 minutes. Add the flour and salt, whisk again. Combine the chocolate mixture with the egg yolk mixture, stir well. Stir in the flavoring. Fold ⅓ of the egg whites into the chocolate mixture to "lighten" the batter. Butter the sides of your ramekins. Sprinkle with sugar and roll the ramekins so that the sugar coats the sides and bottom evenly. 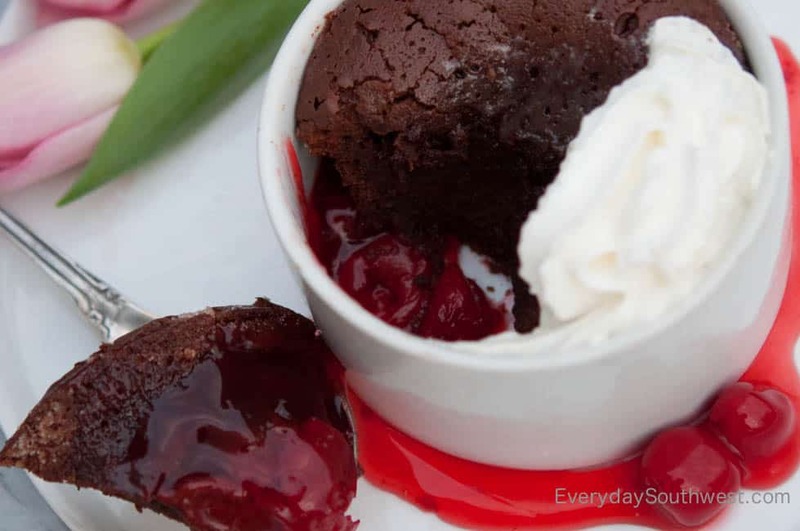 Divide the cherries between 8-4 ounce ramekins or 4-8 ounce ramekins. Fill the ramekins ¾ of the way with batter. Clean up the rims of the ramekins. Bake for 25 to 30 minutes (less for smaller ramekins). Serve warm from the oven and garnish with whipped cream. Have always enjoyed the combo of dark choco and cherry. Have yet to try your recipe, but the rich density you describe reminds me of chocolate sampled recently at a tasting in El Paso . . .SO good! I just couldn’t wait until Valentine’s Day to test out this recipe! It’s absolutely heavenly. I’ll be making it again for my husband next week. It’s the perfect dessert to celebrate any special occasion! What a decadent dessert! These were such a hit at our house’! I’m definitely making them for Valentine’s Day too! Chocolate and cherries are one of my favorite combos and these mini cakes did not disappoint!